"Witty, smart, and sharp as a stake....Tongue in cheek, a bit naughty, and unputdownable, Jane Austen: Blood Persuasion has a brilliance that Ms. Austen would wholly appreciate!" The delicious adventures of Jane Austen, vampire, continue! 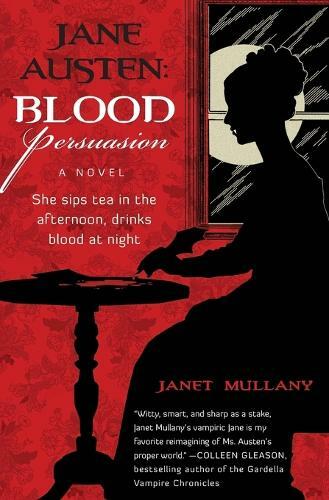 Janet Mullany follows up her delightful vampiric romp, Jane and the Damned, with Jane Austen: Blood Persuasion-pitting the Immortal author against a host of murderous creatures and an annoying ex-lover who intends to hound plucky Jane for all eternity, as she races to prevent an impending Undead civil war. Now fans of Pride and Prejudice and Zombies have more wicked fun to sink their fangs into!